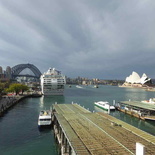 The Sydney Harbour is one of the most recognizable landmarks in Australia. The vicinity is home to two prominent Australian landmarks, the Sydney Harbour Bridge and the Sydney Opera house in Sydney, New South Wales, Australia. Let’s go check them out today. 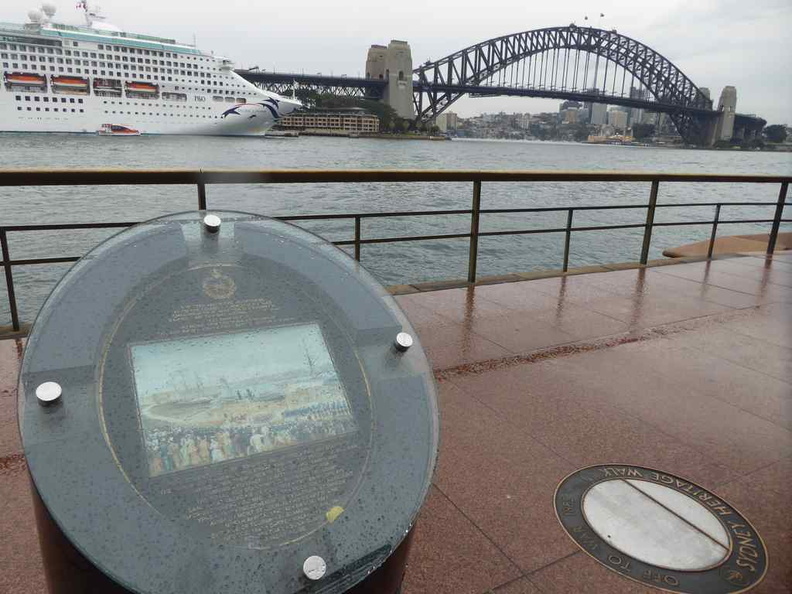 Circular Quay is a starting point for exploring Sydney Harbour. 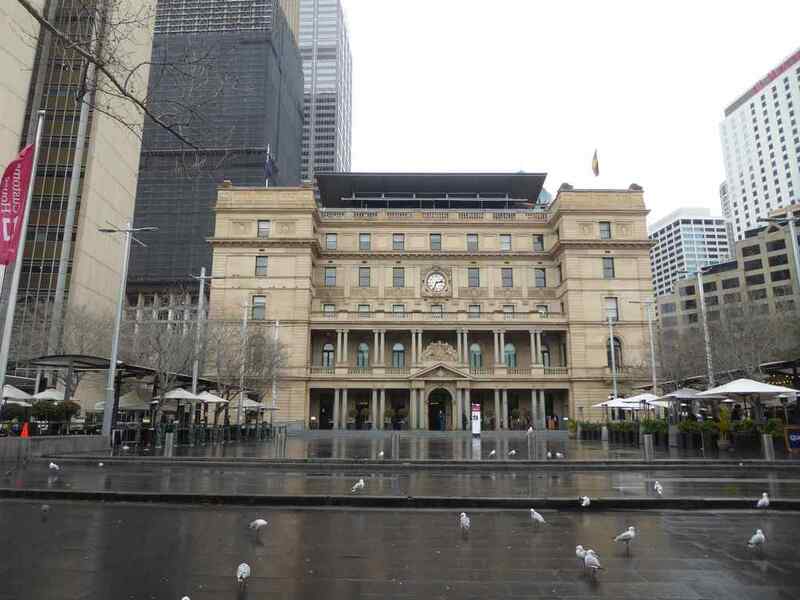 This bay-side area of interest called Darling Harbour is suited beside the Customs House. 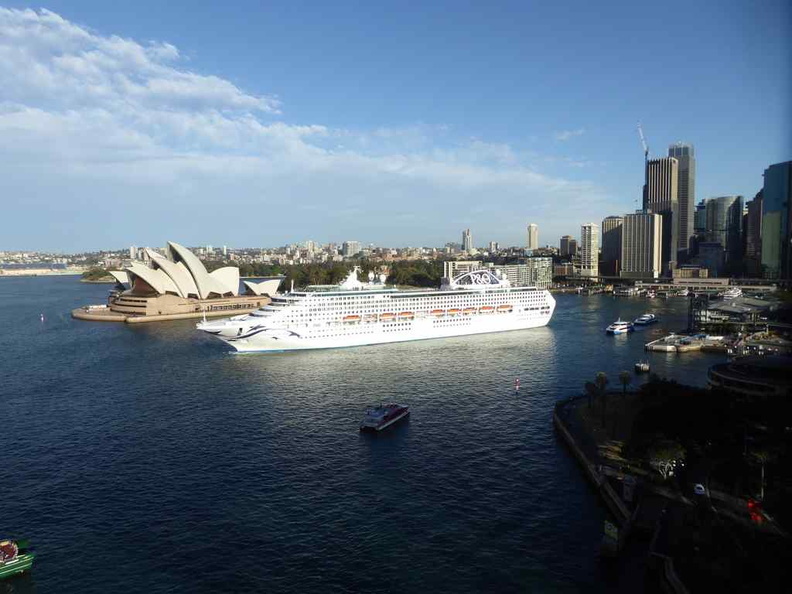 Also, it sits in front of the Sydney Central business district area and a quayside popular with large cruise ships. Sights of Darling Harbour with the Sydney central business district in the background. 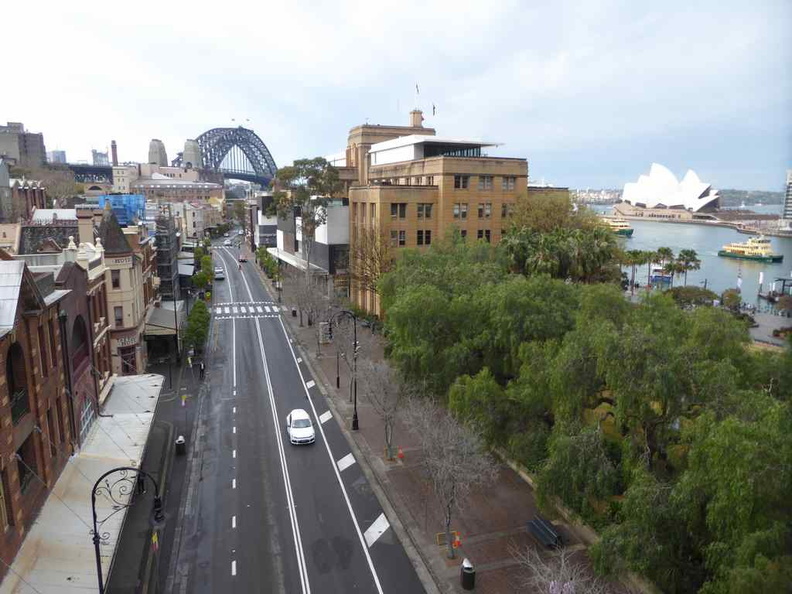 Moreover, given congestion and high toll fees in downtown Sydney, it won’t be recommended to drive into the city. 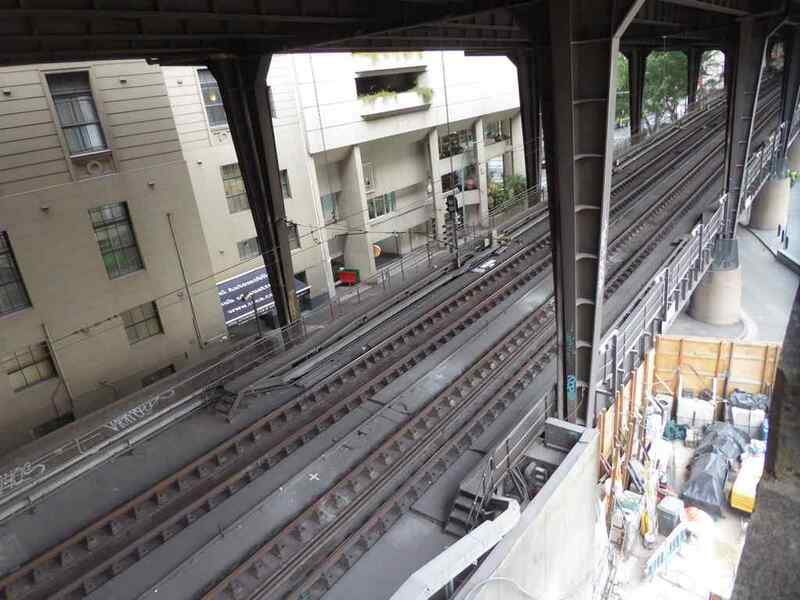 Hence, it will be recommended to grab free parking out in the suburbs and take a metro train into Circular Quay metro station. 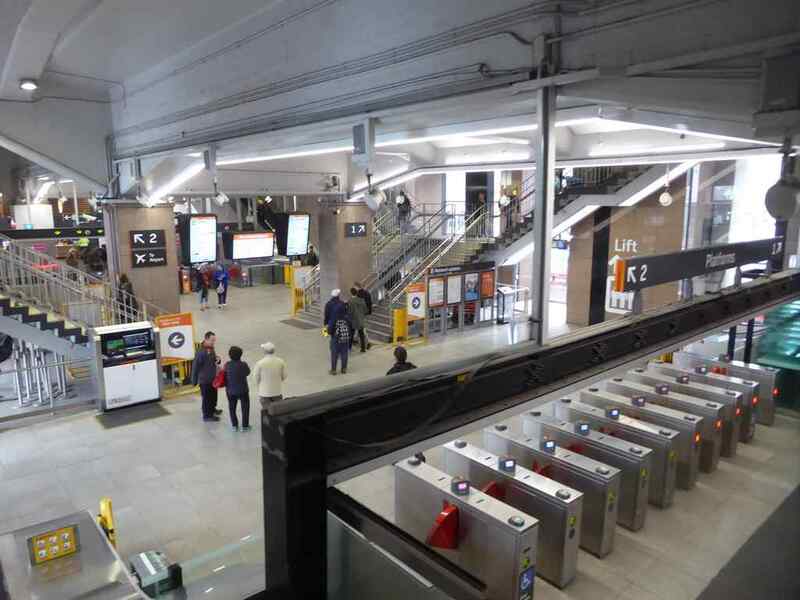 Additionally, you will require a Metro (Opal) card, which can be used for both trains and buses. Upon arrival, the former custom house greets you here. It is a historical landmark Built in 1845. Today, it is used as an events space to host history exhibits. 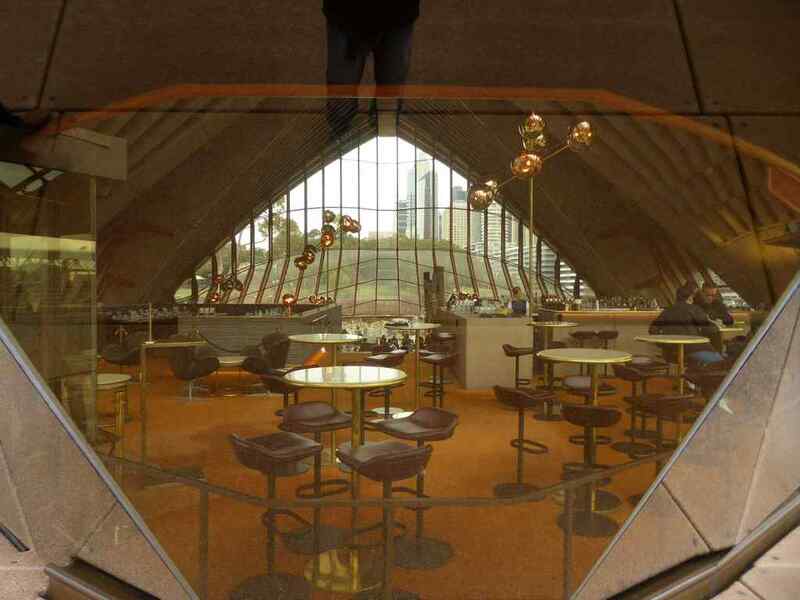 It is also home to a bar and restaurant. Darling Harbour from Circular Quay. From Circular Quay metro station, it is a walkable distance under 10 minutes to various sights of interest along the Darling Harbour. Several big ships (private commercial) and ferries (public transport) also operates from this harbour area. High rise apartments and quay side dining by the Harbour. 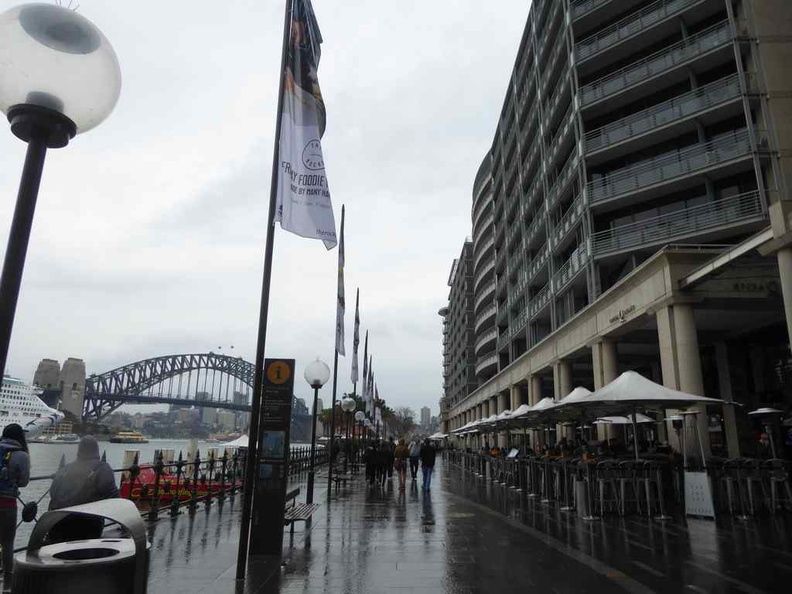 Facing the Harbour, going to your left brings you towards the roadway leading to the Harbour bridge and going right at ground level brings you past a couple of residential and commercial buildings by the Jubilee harbour side walkaway towards the Sydney Opera House. 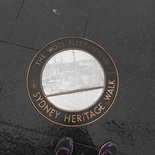 Heritage walk along the Harbour. 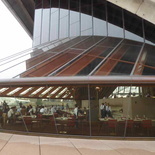 Sydney Opera House one of the most recognizable performing arts theater in the world. Construction of the Performing arts centre started on March 1959 with its completion on 1973. 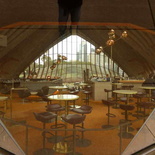 I found the Expressionist Architectural style the Opera house is widely known for pretty timeless. This is consider it was built at a time where such styles are rare. 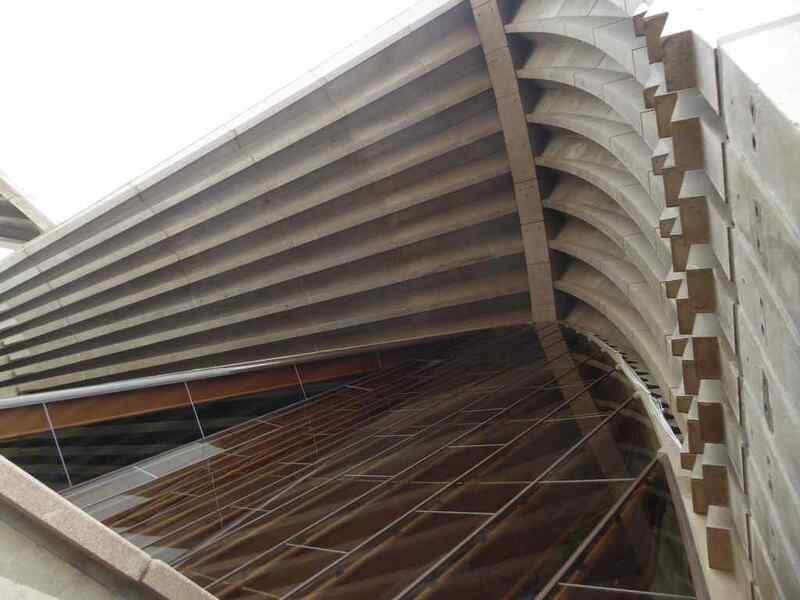 It is architecturally modern, even by today’s standards. 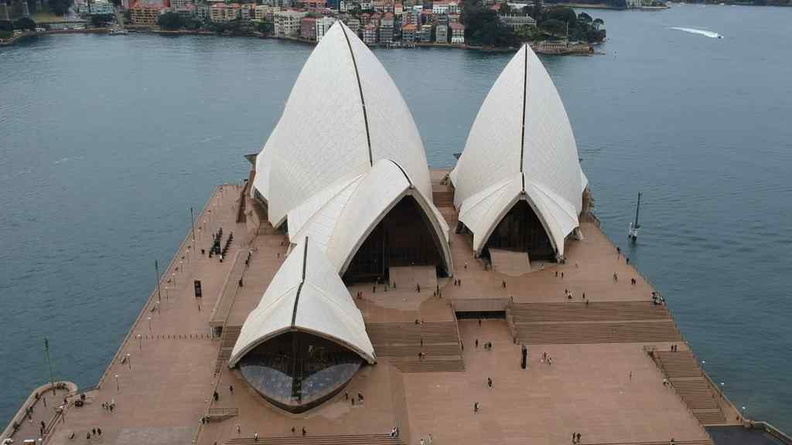 Aerial view of the Sydney opera house. Furthermore, the bulk of the building beside under the stair, with four distinctive sail like structures sticking out like wind catchers by the windy harbour. Fans of Dune may remark them bearing much resemble to the wind traps. It is made out of really cleverly design free-standing arches which does not require central pillars. Moreover, the building is home to a concert Hall with seating for 2,679, two smaller theaters and a couple of restaurants. Do note entry to the halls are allowed only with tickets or dining at the restaurants inside. 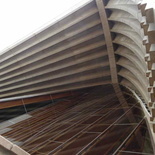 Also, notably, it is also home to the Sydney Opera House Grand Organ. With over 10,000 pipes, it is to date, the largest mechanical tracker action organ in the world. 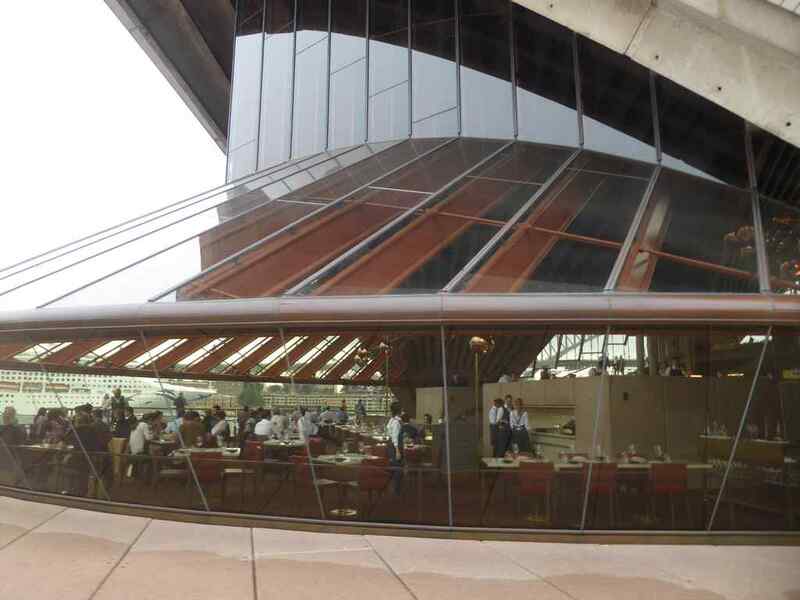 Furthermore, you can catch nice views overlooking the Opera house from the Sydney Royal botanic gardens. This open patch of green is situated just beside the Opera house. 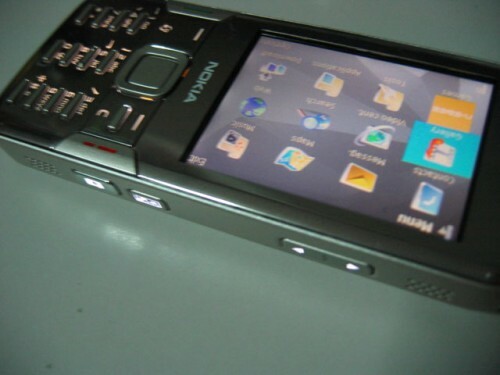 It is also used for general events. Also, it provides good views over the Harbour area as well as the adjacent Allen Lewis Fountain in the distance. 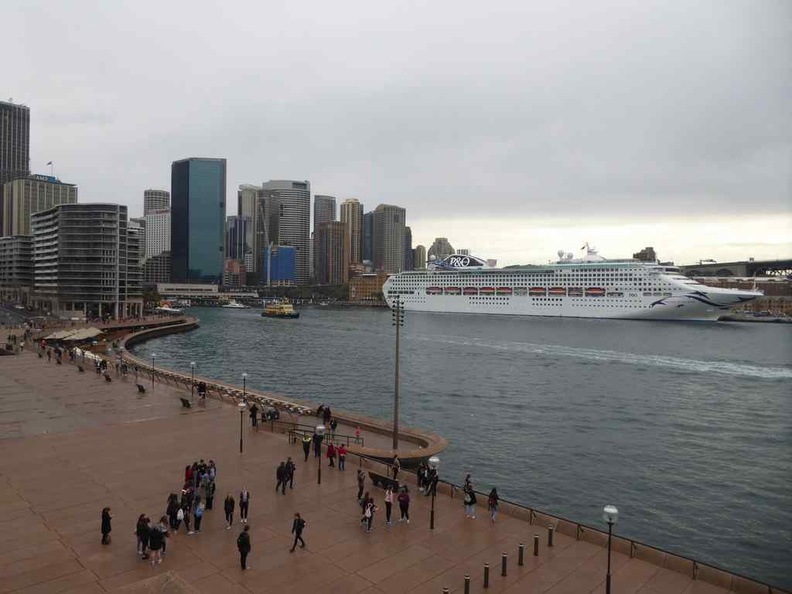 Overview of the Darling harbour from the Opera house, with cruise ship in view. 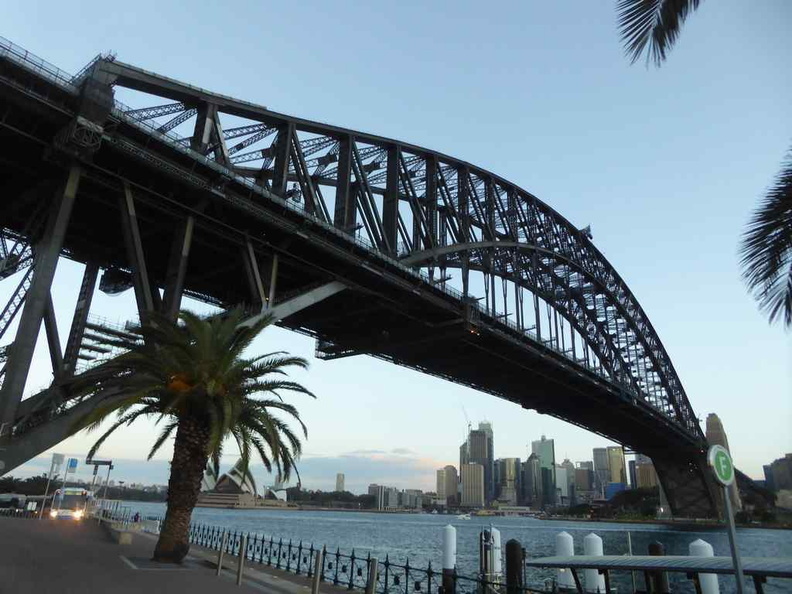 The Sydney Harbour Bridge is one of the most iconic landmarks of Australia. 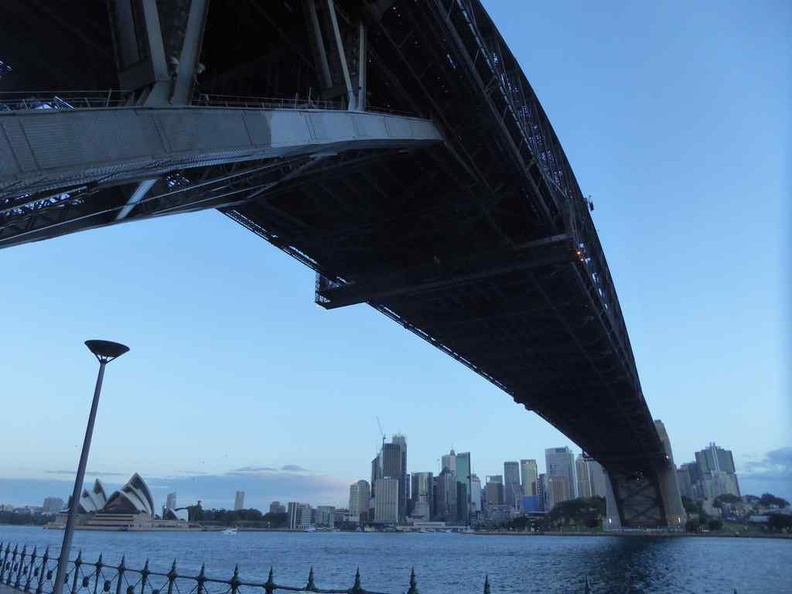 The heritage-listed steel arch bridge spans across Sydney Harbour. 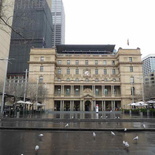 It is figure of major Australian global events such as Australia’s annual New Year day countdown. The Harbour bridge from Darling Harbour. 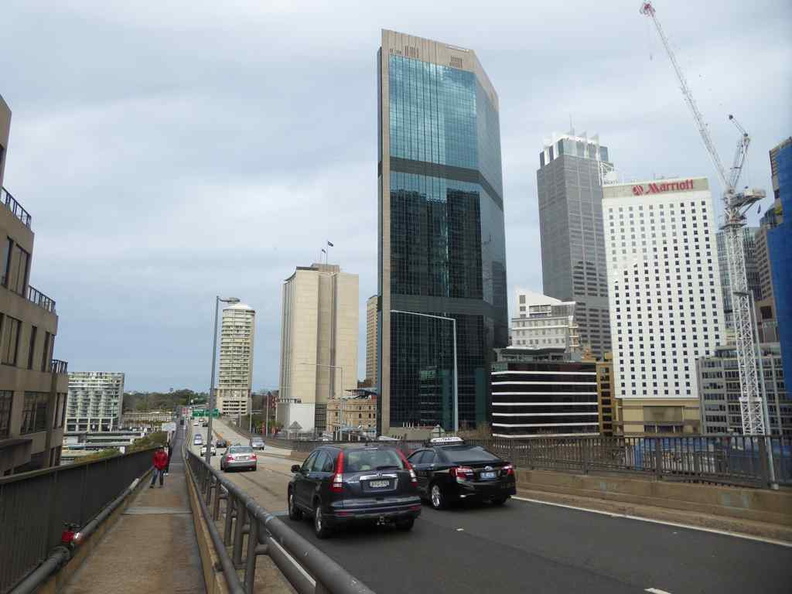 The bridge sits right in front of the Sydney Central business district, which it serves as a main arterial route into the city. 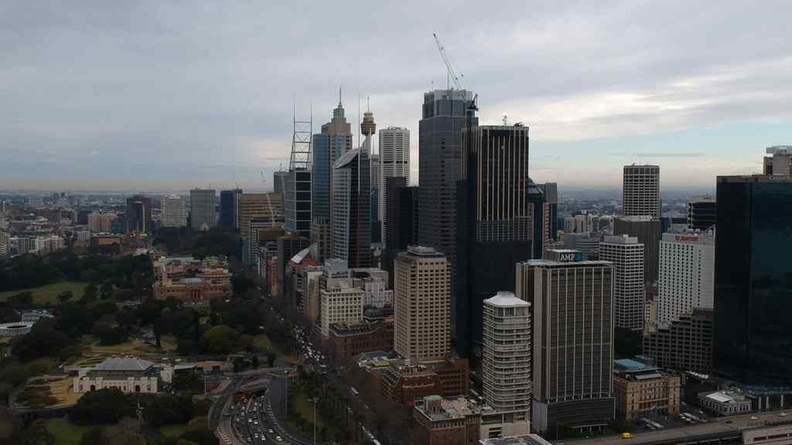 The Sydney Central business district. 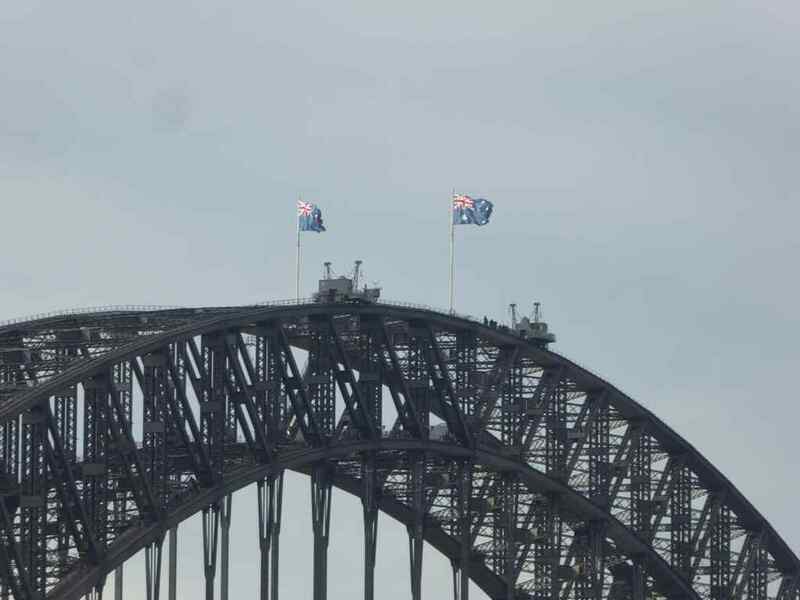 Furthermore, the Sydney Harbour Bridge is open and serves for both vehicular, pedestrian as well as train traffic. It is a rather busy bridge indeed which connects between the Sydney central business district and the North Shore. The bridge is a toll road for southbound traffic coming into the city only. 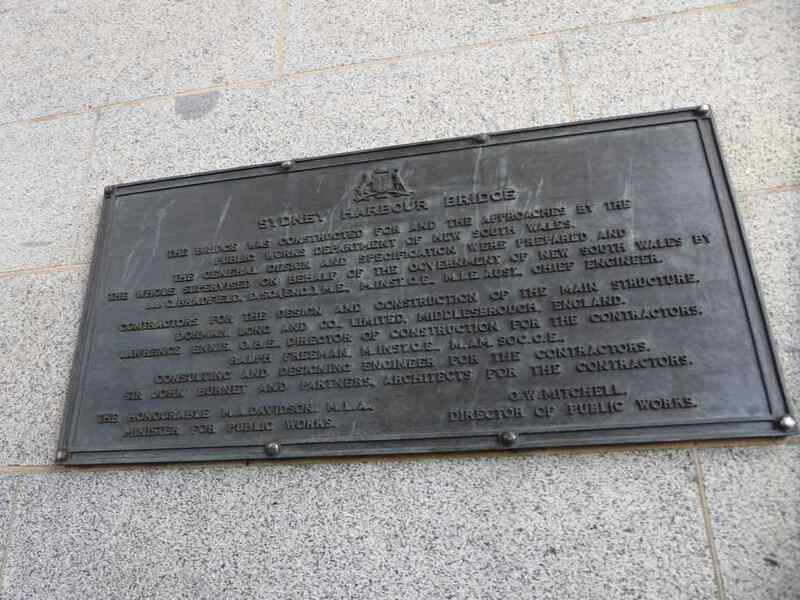 Moreover, construction of the iconic landmark started on 28 July 1923. 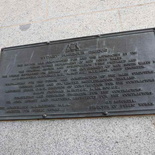 It was completed on January 1932. The bridge spans a total length of 1,149 meters. It serves as the main connecting point between the north and south harbour. 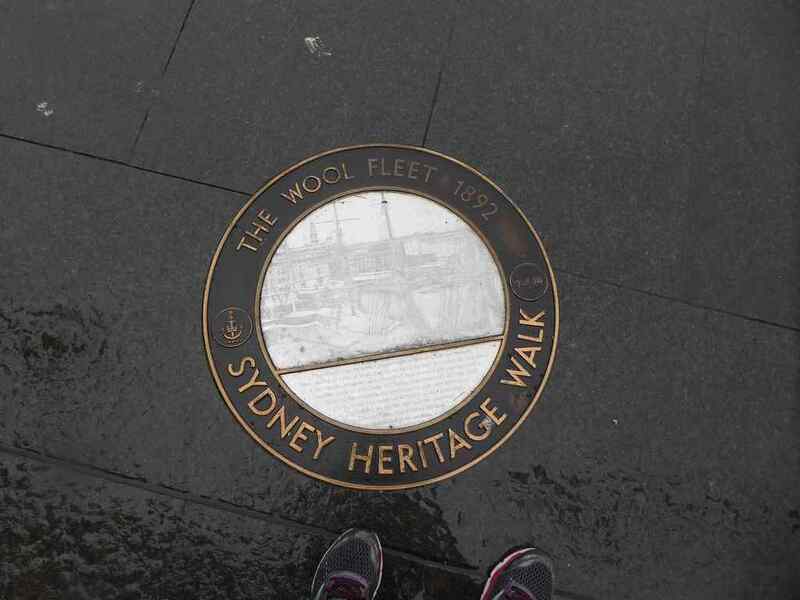 Today it is complimented with the Sydney harbour tunnel, similarly linking the north and south together. 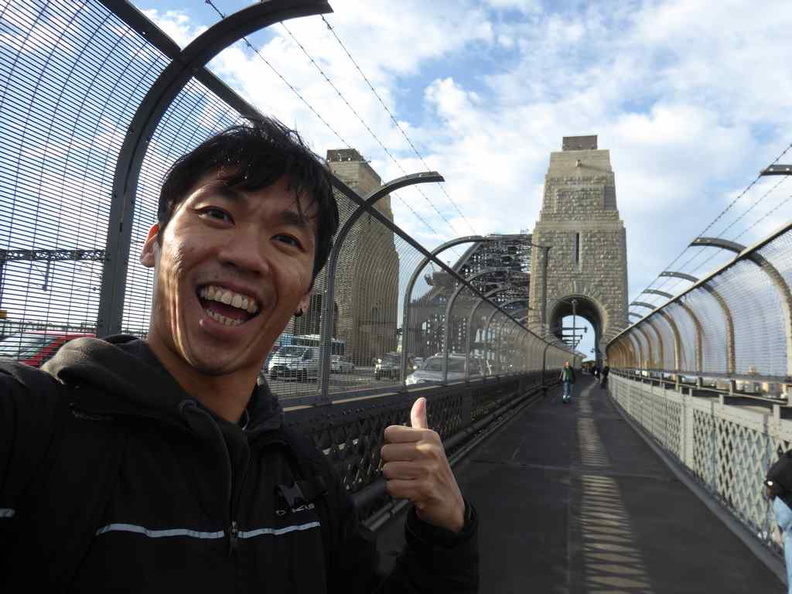 Welcome to the Sydney harbour bridge area! 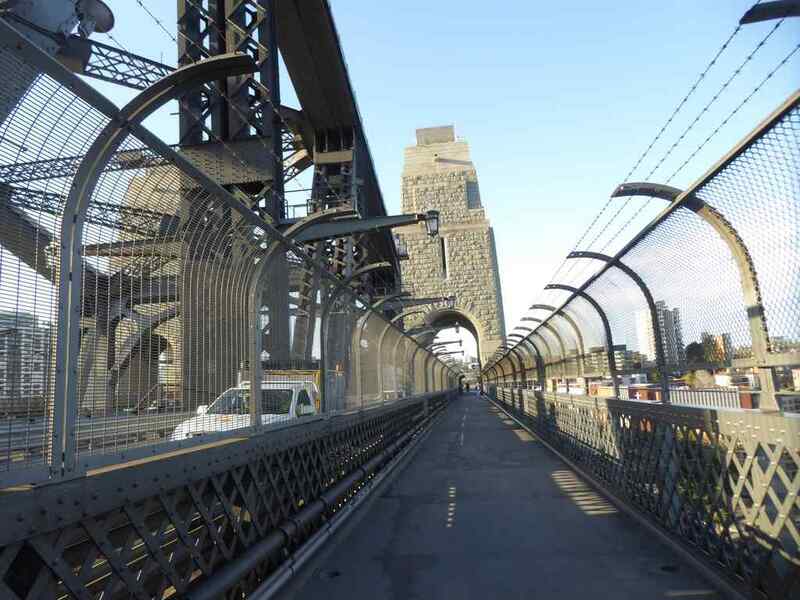 There are various ways to explore the inner points of interest along the Harbour Bridge. 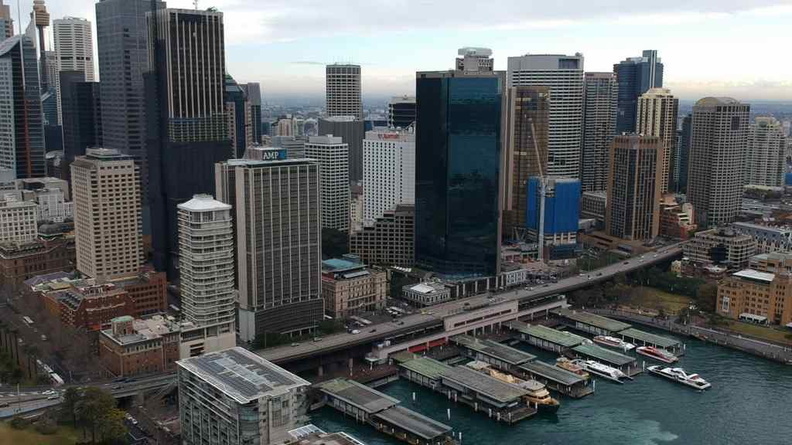 From Circular Quay, you can take a climb up the highway bridge sitting above Circular Quay. 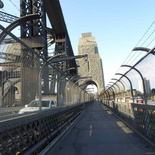 Furthermore, this pedestrian walkway (called Cahill walk) runs alongside vehicular traffic and connects towards the Harbour Bridge. The road and walkway pedestrian bridge above Circular Quay station. 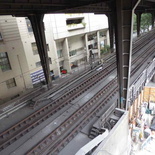 Moreover, when taking a walk towards the bridge, here you can catch overlooking views of The Rock. The rock is a small village-like neighborhood with rich coffee culture and a bustling bar scene. 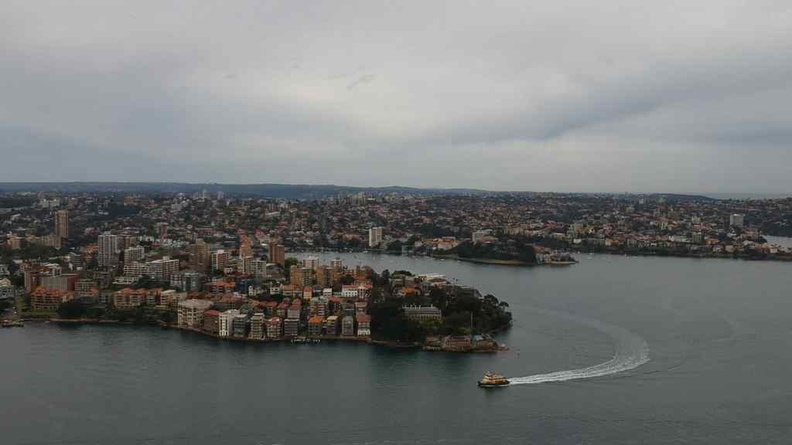 From here, you can catch views of the Rock with Sydney harbour bridge in the background. View of the Rock with Sydney harbour bridge in the background. The Harbour bridge seen from Circular Quay station. You know when you start to cross the bridge when see tall fence barriers enclosing the walkway as you near the pylons of the bridge. The bridge pylon lookout on both ends of the bridge offers a nice balcony-like vantage point overlooking the habour sea and Darling Harbour. Aerial view of cruise ships berthed by the Rock. 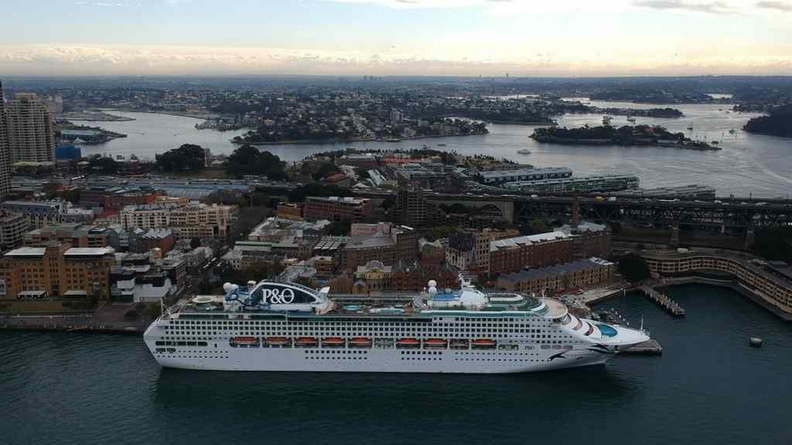 The area has a large cruise ship operated by P&O (Peninsular and Oriental) when I was there. They had a ship full of cruise goers ready to depart from the harbour area. 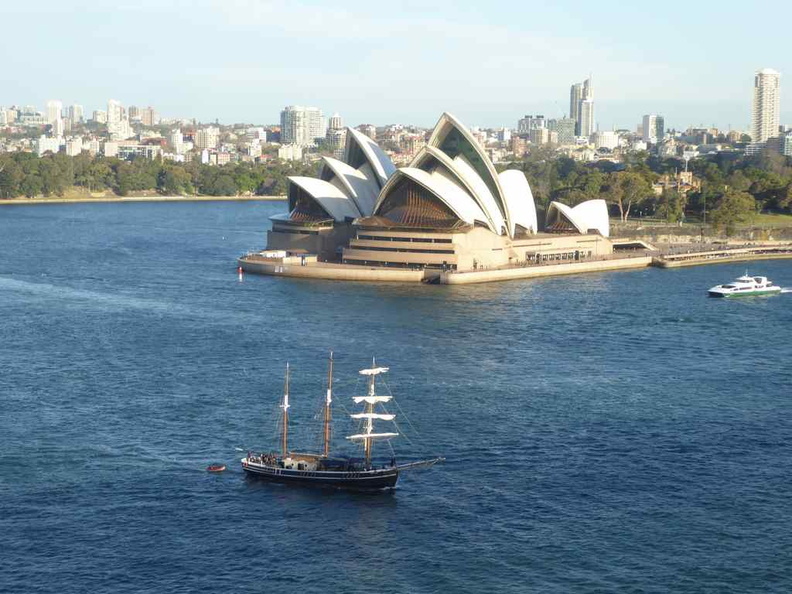 I caught the sight of the ship leaving the harbour when I was on the bridge. 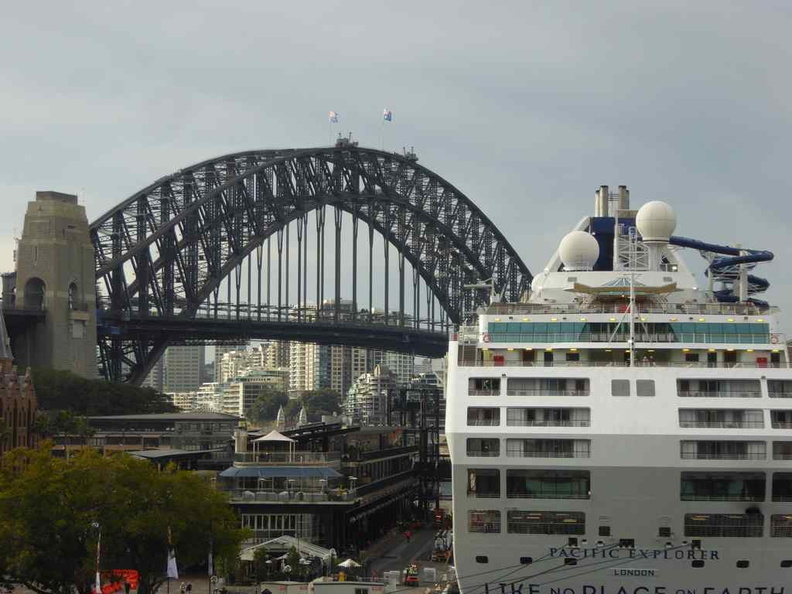 View of Darling Harbour from south side the Harbour bridge pylon with cruise ship leaving port. 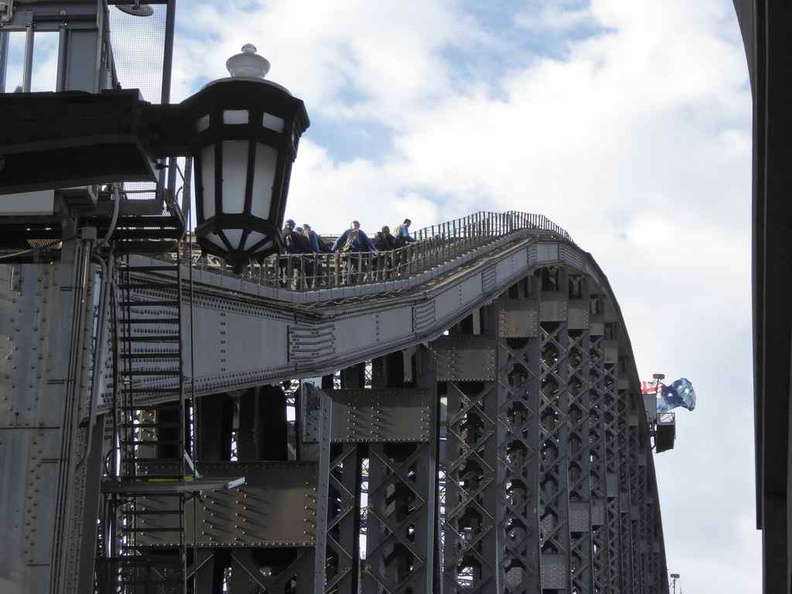 Notably, besides having fantastic views of the harbour, the bridge do run guided tours, If you want to get more of the Harbour bridge, you could consider the Bridge climb. These tours allows you to explore the restricted areas of the bridge high into the bridge’s arches. 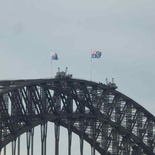 Climbers doing the bridge climb tours on the top of the Harbour bridge. 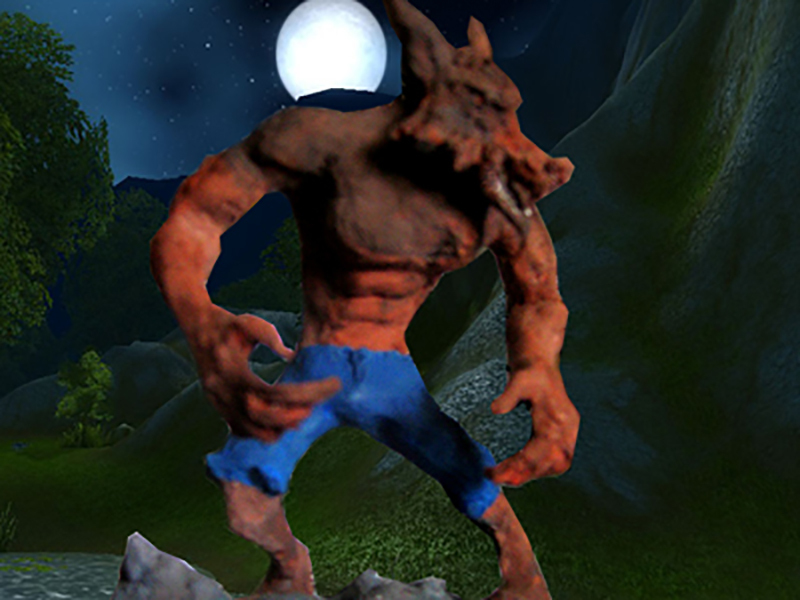 Furthermore, you ascend up to 134 meters above sea level. It can get rather windy up on the bridge! You can see the Sydney Opera house across the bay too. The opera house from the Harbour bridge. 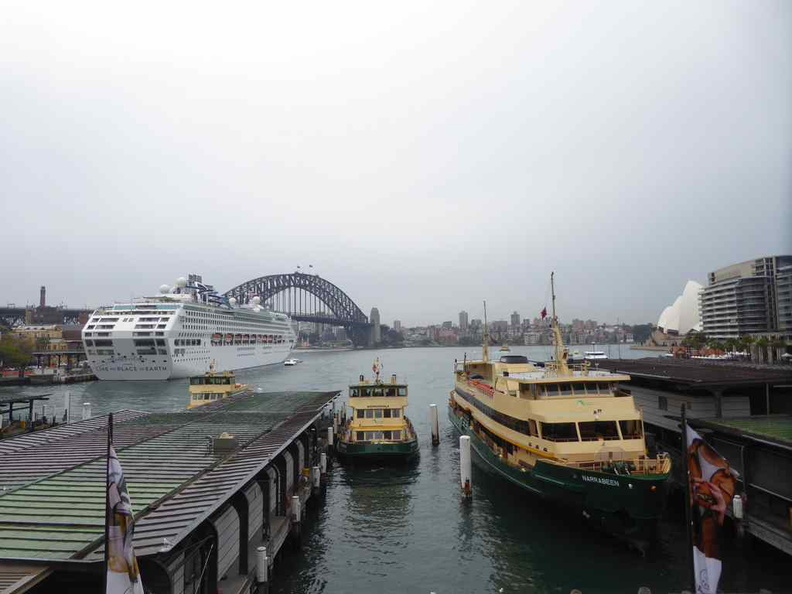 Moreover, Circular Quay is also the major transport hub for water taxis, harbour cruises, buses, trains and taxis. The waterways here can get pretty busy. 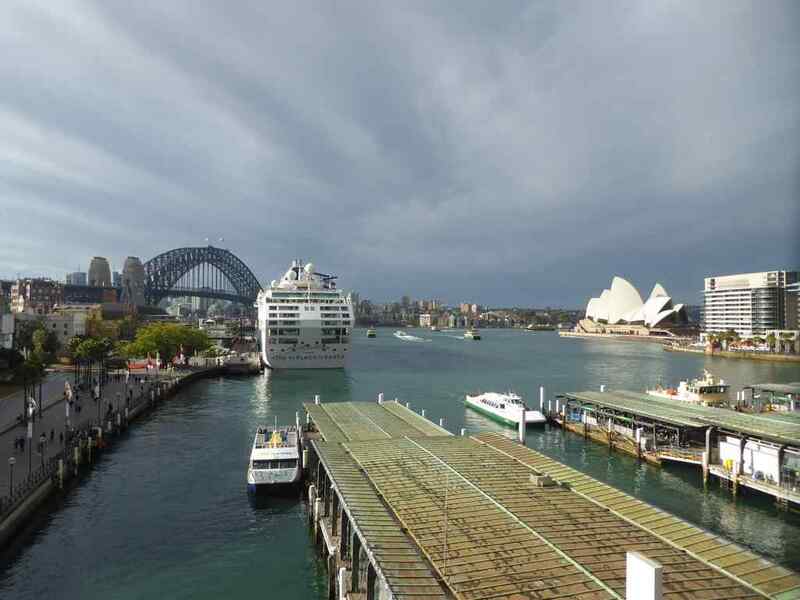 From the bridge, you can see Ferries depart from Quay throughout the day to different parts of the harbour. 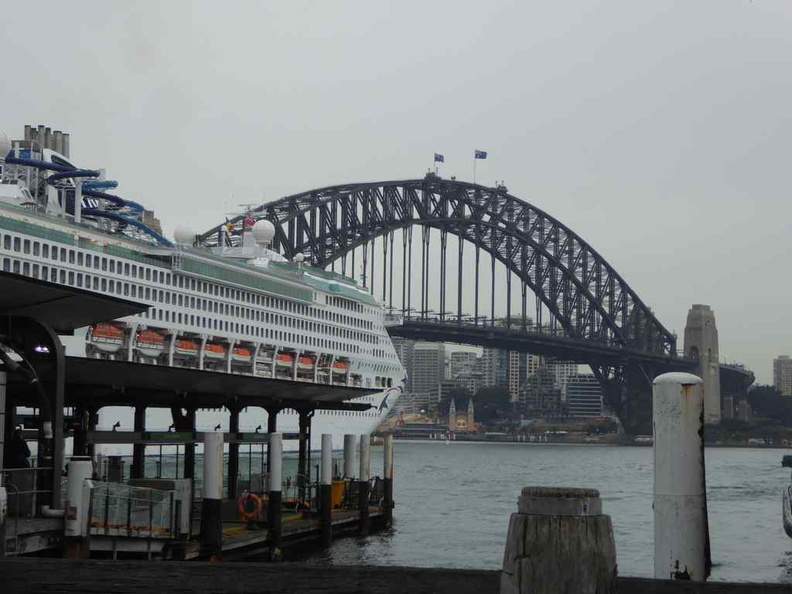 These ferries connect the city with Sydney’s waterside suburbs. View of the North harbour. 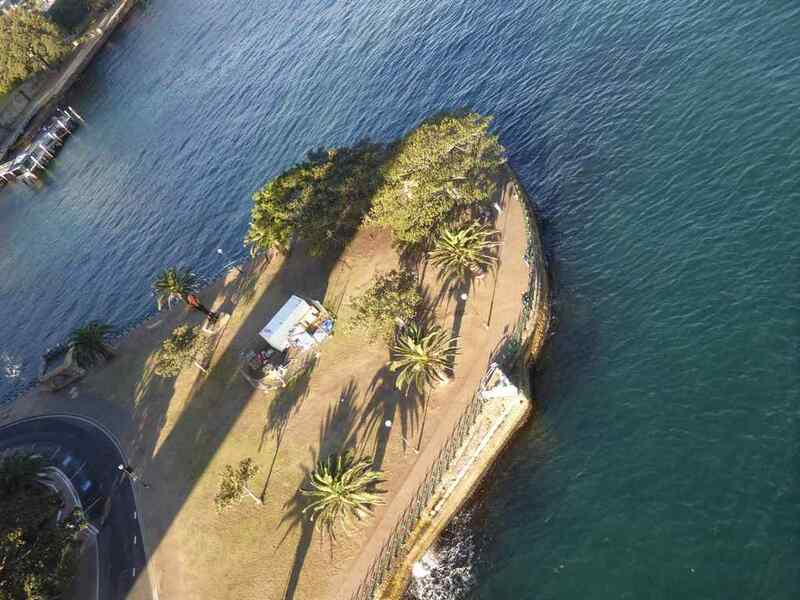 After crossing to the north side of the bridge, Cahill walk will bring you right into a build-up area known as Milsons Point. Also, here, you can find attractions such as Luna Park. Also, from the harbour bridge, you can see Bradfield park which sits under the bridge north side Pylon. 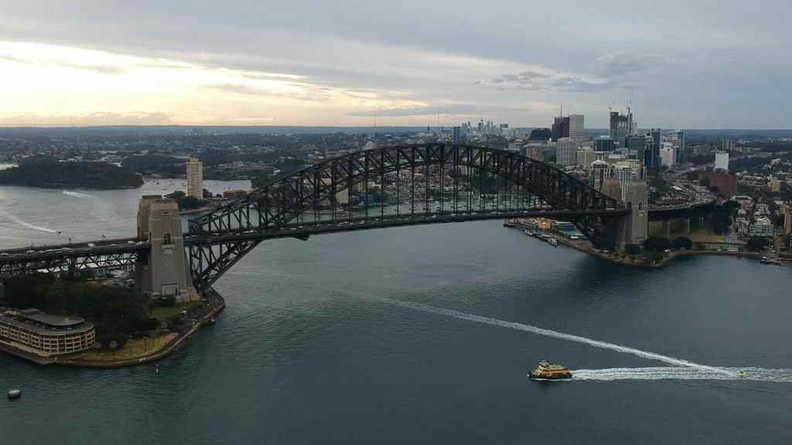 The view from Milsons Point at the northern side pylon of the harbor bridge. 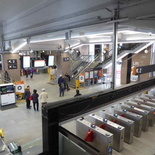 Moreover, Milsons Point metro station is also the stop you can take to get back across the Harbour bridge to Circular Quay. 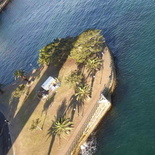 Alternatively, you can hop on a ferry from Milsons point ferry terminal back. Under the span of the Harbour bridge. 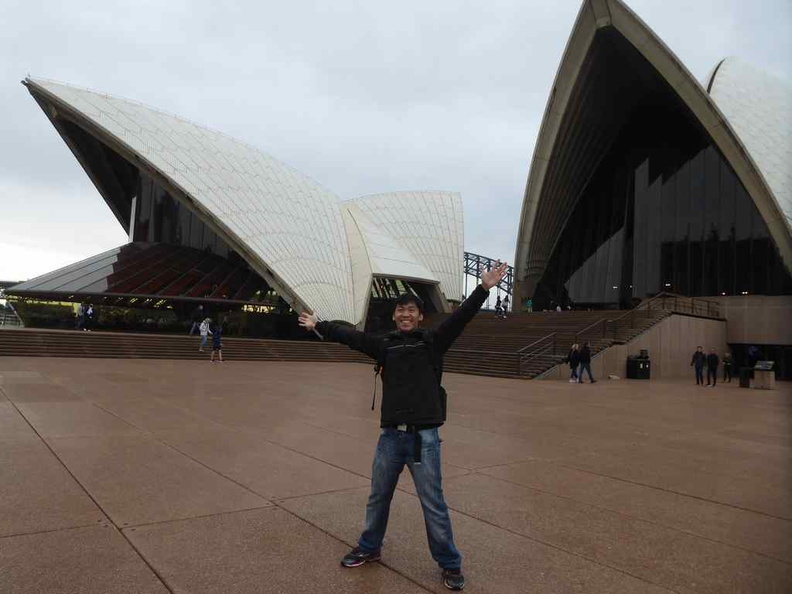 All in all, you are good to explore one of Sydney most scenic spots in the city. The best part is that these outdoor activities can be done for free. It will set you back about the most 2 hours of your time exploring the sights from the Opera house to the north harbour. Worthy of a DIY trip up and close at Australia’s most recognizable habour. You can catch more photos of Sydney Harbour here.